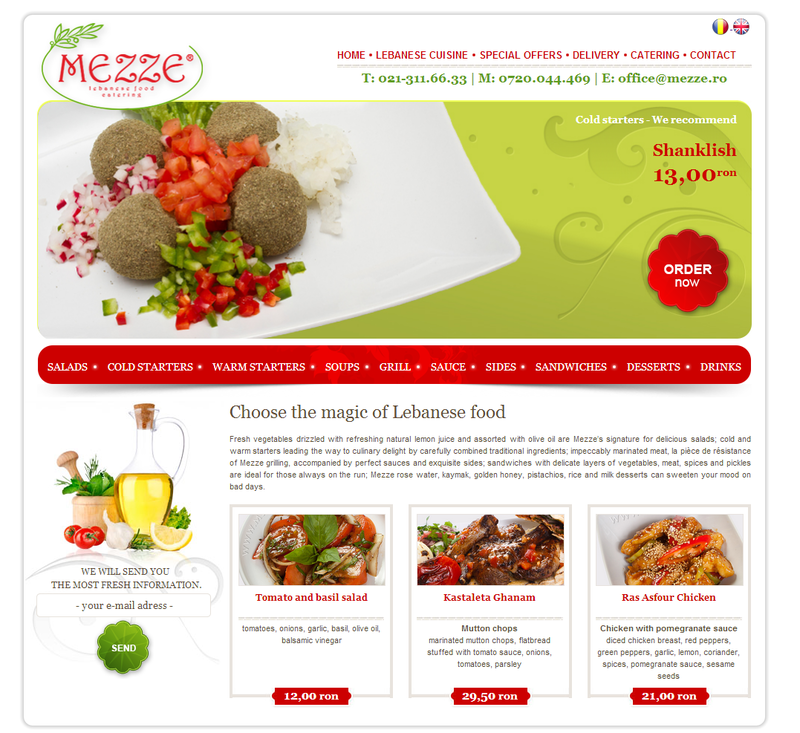 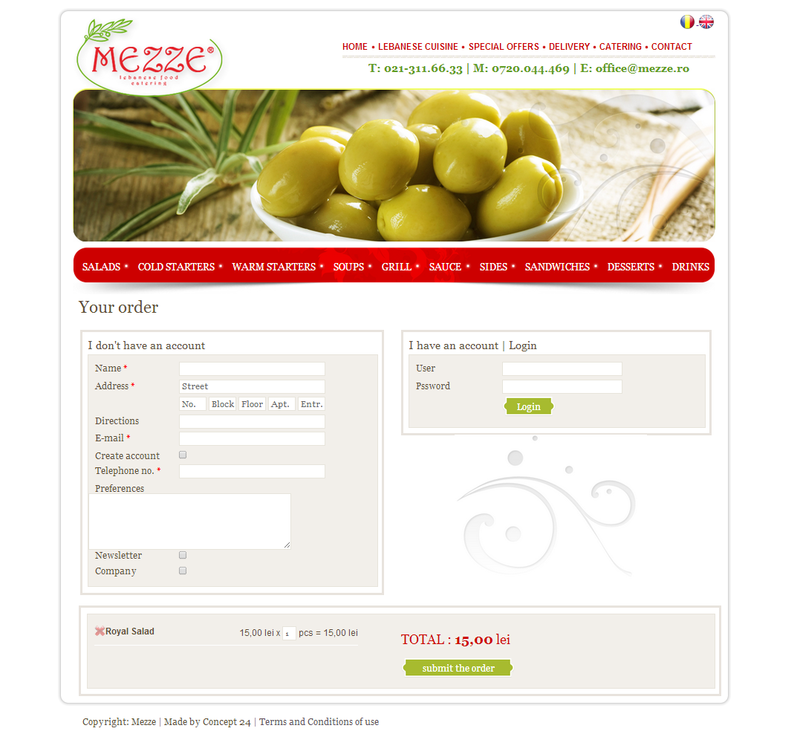 Mezze is an online store providing Lebanese fresh food. 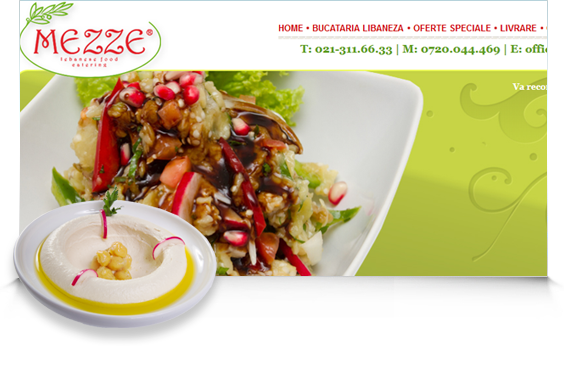 It is dedicated to consumers which love Lebanese food, bringing the real taste of Lebanon to it's lovers. 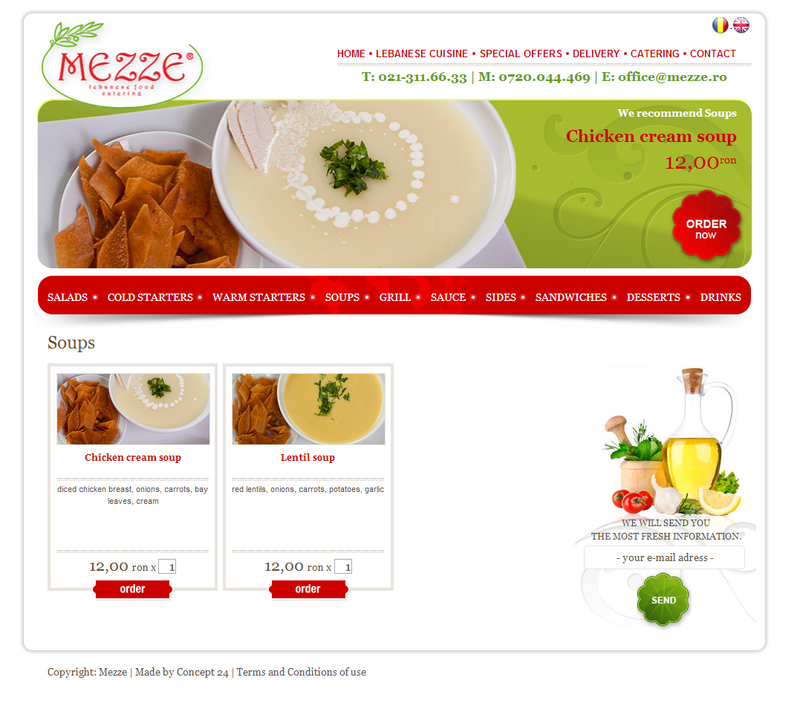 The online store has a very attractive design, our designer being most concerned in using original Lebanon elements in all pages, so the visitors to be introduced in the world they love so much. 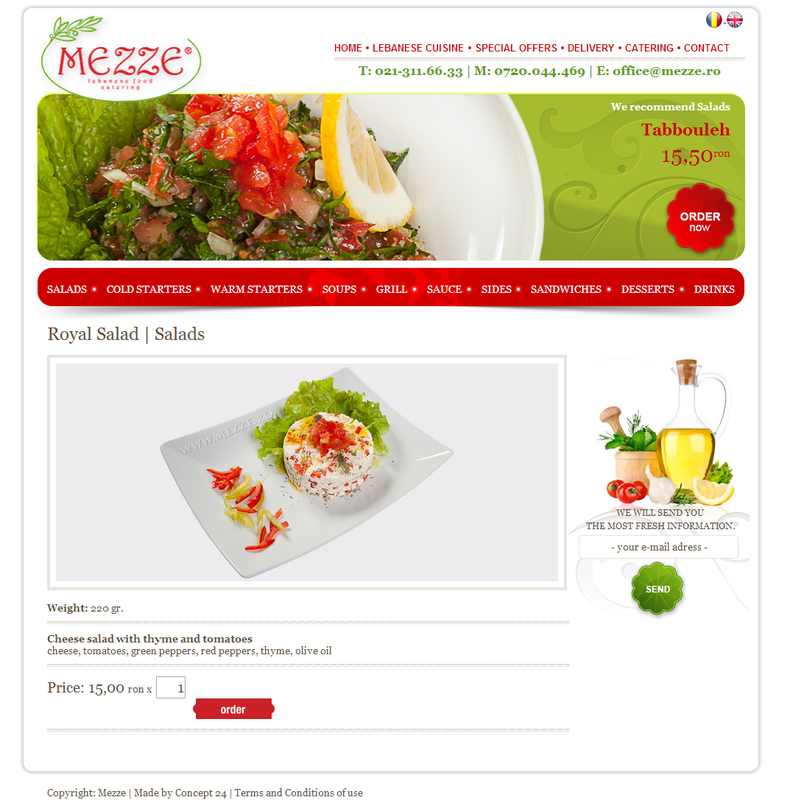 And its usability is remarkable, the users need only a few clicks to make an order of their desired food, but also having the opportunity of analyzing the specific details of dish and recipe.